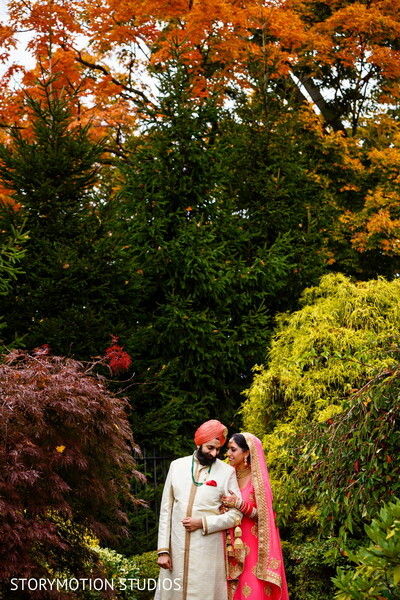 "The most enjoyable part of the wedding planning process was trying on the beautiful outfits for all our wedding events, of course! Shopping in India is a girl's dream come true because the selections, the designs, and the treatment you get when shopping there is like no other". 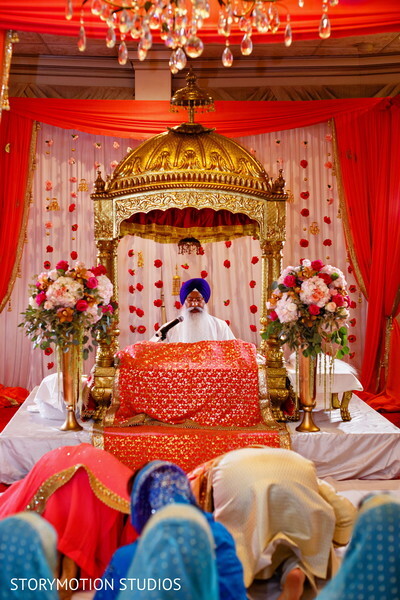 - Bride, Rupinder. 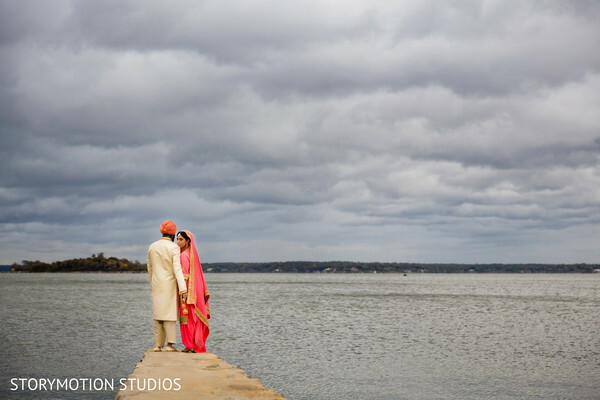 Meeting her beau was one adventure and now the real journey began with Lifetime Events by Jacqueline spearheading the important task of ensuring that all wedding events were streamed cohesively. 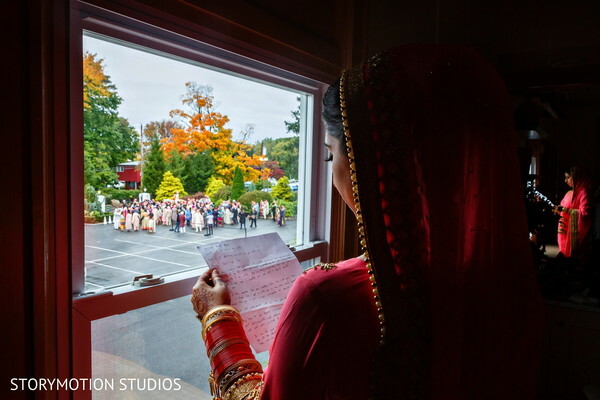 One of my favorite images from this wedding was the bride reading a letter written by Teg while watching his baraat ceremony from the window. 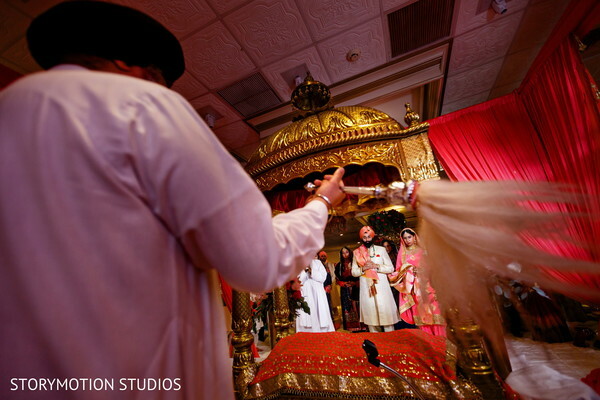 Although she couldn’t be there, she was still able to witness the grand procession. 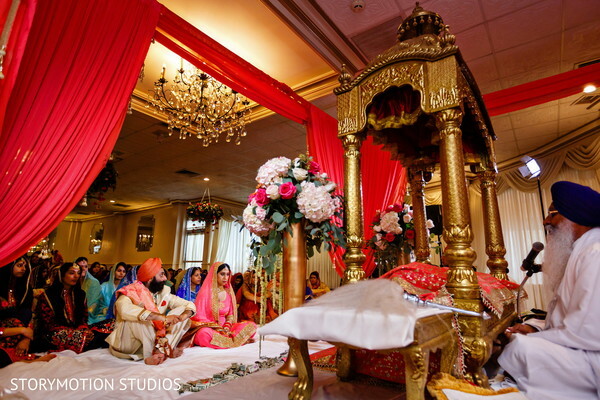 The bride was gorgeous as she walked down the Greentree Country Club that was transformed to replicate a Gurdwara. 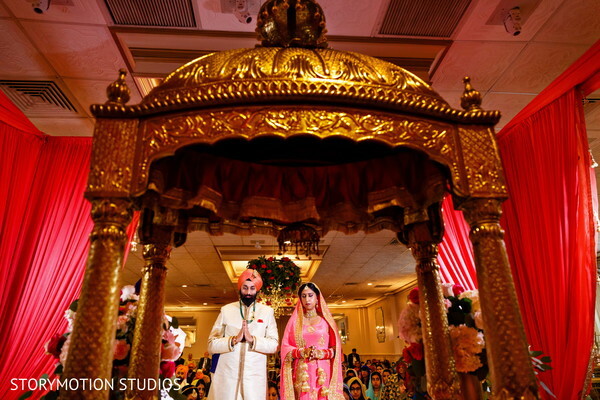 One of the most distinguished features of the bride had to be her gorgeous henna by Mehndi by Monika. 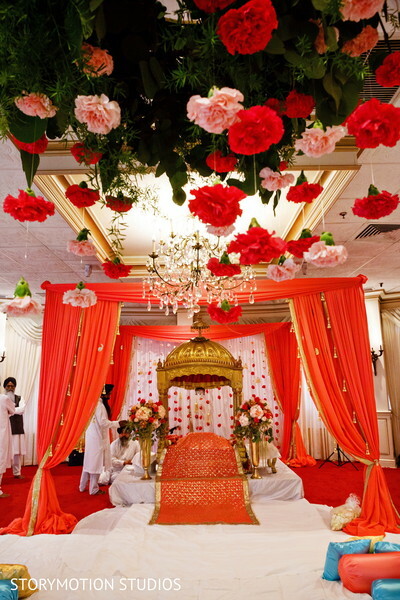 How can flowers on the ceiling not blow you away? 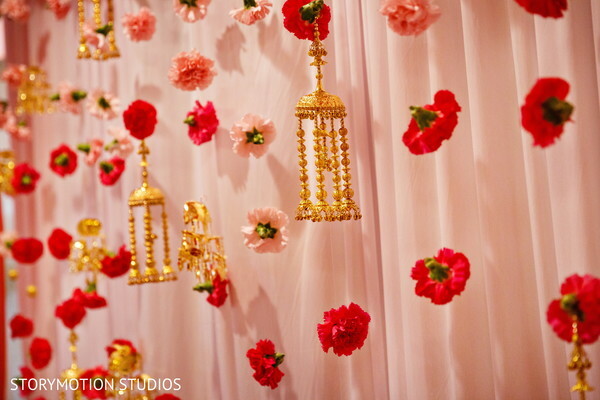 Mayuri’s Floral Design created an upside down garden that was full of gorgeous blooms. 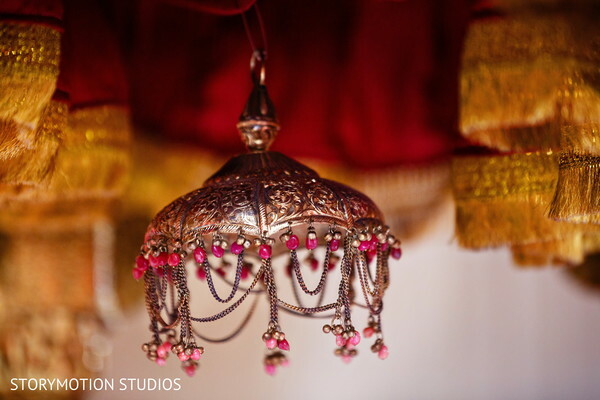 StoryMotion Studios has captured a gorgeous set of images you can find in the gallery with Vaahoo Photography behind the video lens. Our journey is not complete just yet! We have the wedding reception coming right up. 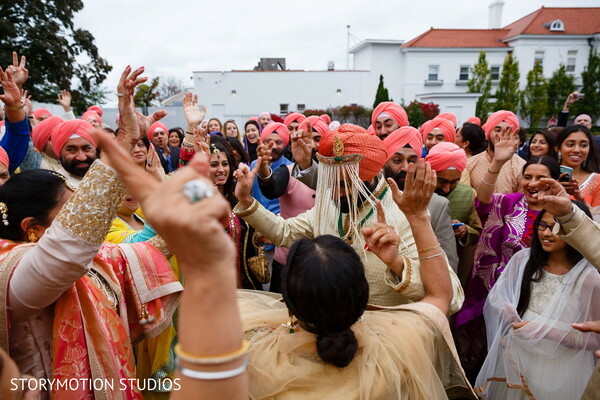 StoryMotion Studios, Lifetime Events by Jacqueline, Planet DJ Productions and Mehndi by Monika are members of the Platinum Guide. Love what you see? Explore their portfolios.